As just idle speculation, we mentioned to Greg's dad that "if we got a boat, could we park it in their driveway?" After trying to talk us out of it, he then started sending us links to various boats for sale. 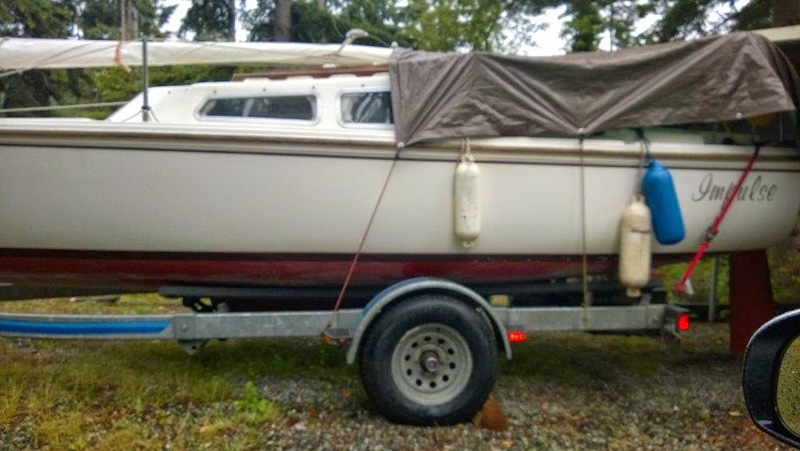 One of the prime candidates was a boat named Impulse, then on a trailer on Whidbey Island, Washington State. Actually Sandi found this boat first, and sent a link saying "this is more like what we are looking for." On Saturday, June 14, Greg's dad went out to Whidbey Island and talked to the owner and took about 50 photos. We weren't available that day. The boat seemed in very good shape, unlike a few other that we looked at.